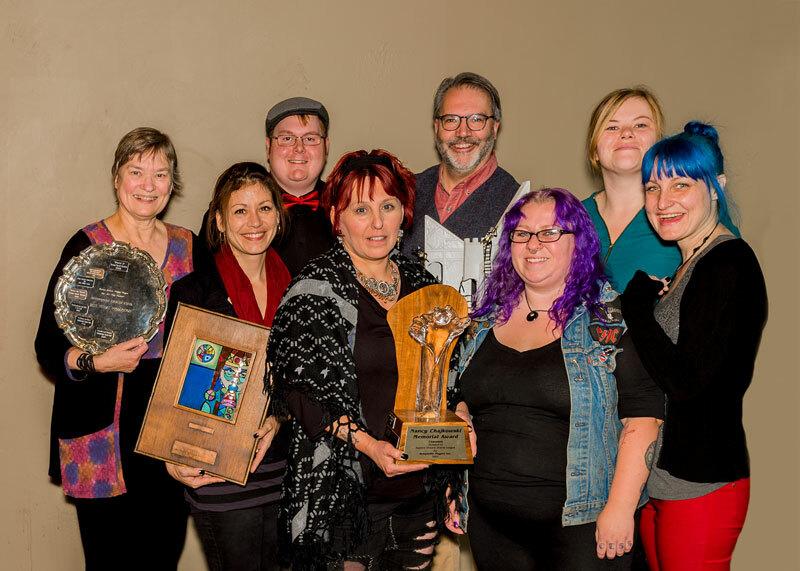 BELLEVILLE – The Belleville Theatre Guild came away with four awards after participating in the Eastern Ontario Drama League one-act play festival on the weekend. “We had hoped, but we never expected to do quite as well,” said Wendy Roy, who starred in This Side or the Other written by 24-year-old Eric Lucas of Belleville. The cast won best costume, visual production, ensemble, and co-ordinated production. This Side or the Other was also one of two shows nominated for best overall production, but lost to Tony and Academy Award-winning British playwright Sir Tom Stoppard. “We’re not holding any grudges that they won because we’re pretty honoured to have been on the same level as them,” Roy said. This piece was the first play Lucas had ever written and was originally performed as part of the evening of one-act plays the BTG holds each year featuring local playwrights. Out of five selected for the event, Lucas’s was chosen for the EODL one-act festival. The show’s staging is separated between two worlds. One side is a mother waiting for her son, who is in surgery. On the other, the three fates (mythological gods in charge of cutting the threads of life) are trying to decide the boy’s fate. “In this show, the characters use a coin toss to figure out the fate of a child, whether he lives or he dies, and I wrote two endings based on that. And I think the inspiration from that was just because I toss a coin to settle mundane things like, am I going to eat Chinese or pizza? And then I thought ‘hey, what if something a lot bigger was at stake?’” Lucas said. Each night the play was performed, a coin toss decided which ending would be played out. Roy said she was relieved with the ending of the play at the festival. “Luckily the child ended up living, so it was a happy ending,” she said. There were nine plays participating in the festival. Each was performed and judged, and then an awards ceremony took place on Sunday. “It was amazing because all of our awards were right in a row at the start,” Lucas recalled. 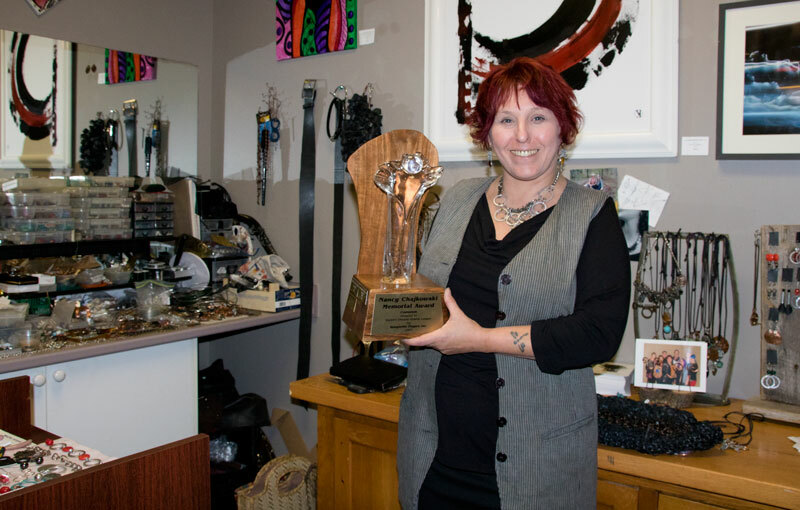 Local artist Lisa Morris won the costume design award. “It was quite a surprise. I mean, you feel good about something that you do, but no one ever thinks they’re going to win,” Morris said.